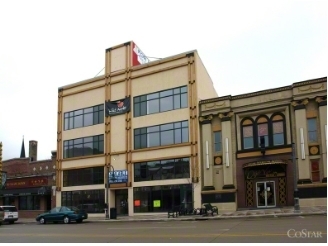 Posted on Nov 26, 2012 by Appleton Downtown Inc.
Great office/retail location in downtown Appleton. 4 floors of approximately 6,175 square feet or a total of 24,700 square feet plus basement. Downtown Appleton - about 1/2 block west of the new Performing Arts Center. Downtown Appleton on College Avenue. Located about 1/2 block west of the Performing Arts Center.